The seventh installment of the Presidential Lecture Series, hosted by President John L. Anderson, will be held on Monday, November 10, 2014. John W. Rowe, IIT Regent, Former Chairman of the Board, and Chairman Emeritus of Exelon Corporation, will introduce the lecture titled: “The Birth and Death of the Cell Phone,” presented by Martin Cooper. The story of the birth of the modern cell phone has been told many times as a triumph of technology. While that’s partially true, the real story is much more complex. It is a David versus Goliath, outliers versus the establishment story. It’s about how the course of personal communications history was changed by a small company in Chicago that had a vision and defended that vision against two powerful adversaries – and prevailed. And it’s a story of a revolution in communications that has only just begun. Martin Cooper was present at the beginning and will talk about that conflict, and about his vision of a future in which wireless connectivity profoundly, and affirmatively, changes the world. RSVP to the President’s Office no later than November 9, 2014. Please register at iit.edu/rsvp/cooper or phone 312.567.5196. Complimentary parking will be available in the A4 (32nd and State Streets) and B5 (32nd and Federal Streets), parking lots. 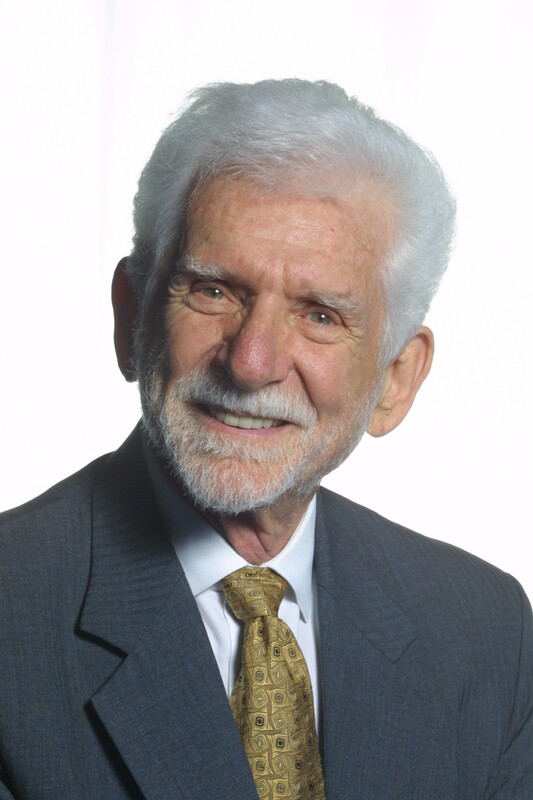 Martin Cooper (EE ’50, M.S. ’57) is a pioneer in the wireless communications industry – an inventor, entrepreneur, and futurist. He has been a contributor to the technology of personal wireless communications for more than 50 years. He conceived the first portable cellular phone in 1973. Cooper knew then that people needed the freedom that comes from anywhere, anytime telephony in contrast to being tethered to a desk or a car. He has been referred to as the ‘father’ of portable cellular telephony and is recognized as an innovator in spectrum management. Cooper was a submarine officer in the U.S. Navy. Following military service, he became a division manager and head of R&D for Motorola over his 29-year tenure at the company. As a serial entrepreneur, Cooper has started a number of businesses including co-founding GreatCall, Inc., maker of the Jitterbug phone and service; ArrayComm, the world leader in smart antenna technology; and Dyna, LLC, a business incubator, where he currently serves as chairman. Cooper was an inaugural member of the Wireless History Foundation Wireless Hall of Fame. Red Herring magazine named him one of the Top 10 Entrepreneurs of 2000, the Wharton School at the University of Pennsylvania named him a Transformation Technology Change Leader, and he is a recipient of the IEEE Centennial Medal. In 2010, Cooper was inducted into the National Academy of Engineering and was awarded the Prince of Asturias Prize for Science and Technology. In February 2013, Cooper was co-recipient of the Charles Stark Draper Prize, one of the world’s preeminent awards for engineering achievement. In September 2013, Cooper was awarded the coveted Marconi Prize. Cooper holds a B.S. and an M.S. 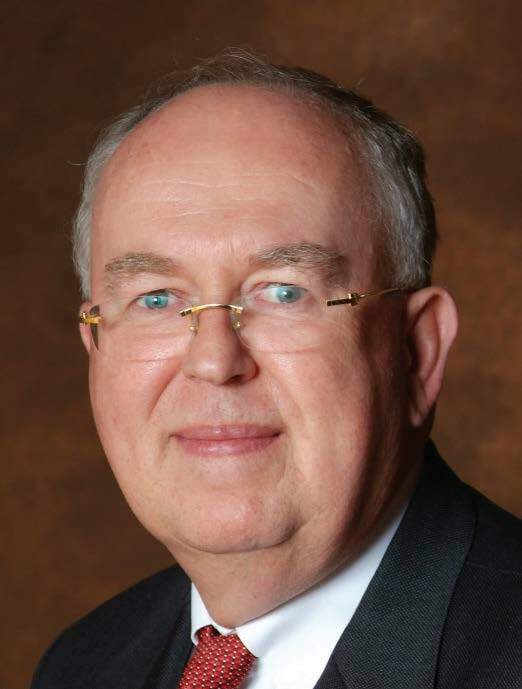 in electrical engineering and an honorary doctorate from Illinois Institute of Technology, on whose Board of Trustees he serves as a life trustee. He previously held chief executive officer positions at the New England Electric System and Central Maine Power Company, served as general counsel of Consolidated Rail Corporation, and was a partner in the law firm of Isham, Lincoln & Beale. He is the lead independent director of Northern Trust Company and a member of the board of directors of The Allstate Corporate and SunCoke Energy. Rowe is a university regent on IIT’s Board of Trustees. He is chairman of The Field Museum and the Illinois Holocaust Museum, and serves as a member of the board of the Wisconsin Alumni Research Foundation, the Morgridge Institute for Research, the Northwestern University Settlement House, and Chicago Shakespeare Theater. The Rowe Family Trust has founded the Rowe Professorships of Architecture and the Rowe Chair in Sustainable Energy at IIT, the Rowe Professorship in Byzantine History and the Rowe Professorship in Greek History at the University of Wisconsin, the Rowe Professorship in Virology at the Morgridge Institute and the Wisconsin Alumni Research Foundation, and the Curator of Evolutionary Biology at The Field Museum. The trust co-founded the Rowe-Clark Math and Science Academy and the Rowe Elementary School. The Rowes serve as patrons of the Pope John Paul II parochial school on Chicago’s southwest side. Rowe holds undergraduate and law degrees from the University of Wisconsin, where he was elected to Phi Beta Kappa and the Order of the Coif. He has also received that university’s Distinguished Alumni Award.